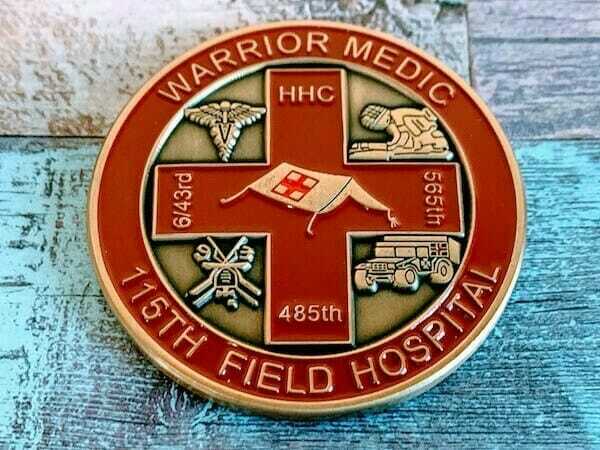 Here at The Monterey Company, we have been designing custom firefighter coins for nearly thirty years. We provide our customers with the highest quality product and experience at great prices. Our expertise in the coin making business truly sets us apart. Not only do we use the best techniques and materials, but we offer the best customer service. With a talented design staff at the ready, we can help you quickly design your firefighter coin free of charge in a matter of days, providing a digital proof and unlimited revisions. 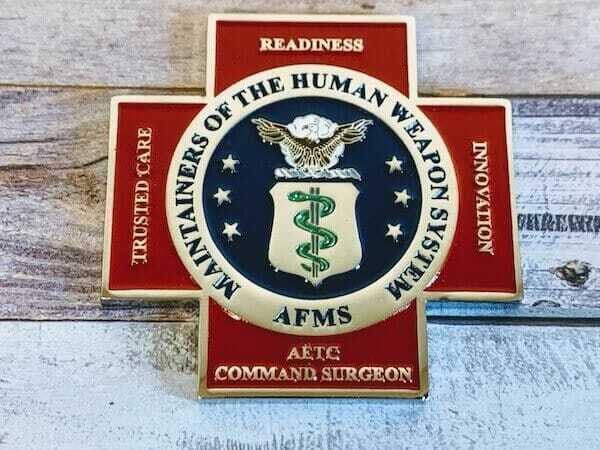 We are dedicated to producing the finest quality work for our customers - which means we will do whatever it takes to get you the custom coin you are looking for. 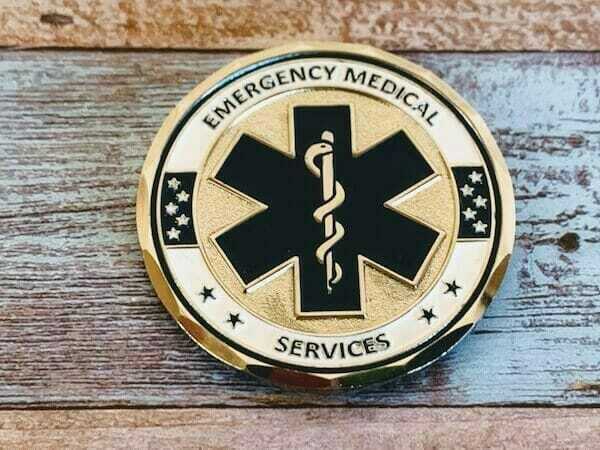 We have been creating custom coins for firefighters, law enforcement, and military for over 30 years, and we love working with our customers to create long-lasting memorabilia that serves to honor and commemorate the selfless commitment of our community heroes. Get a free quote today! Quality Product and Amazing Service! Because we are leaders in the coin making industry, we have the ability to offer nearly unlimited customization - you choose the materials, size, shape, colors, engraving, finish, plating - you name it, we can do it. As business owners, we know how valuable your time is, and understand that the process of designing a coin can appear daunting when there are so many possibilities - which is why we provide start to finish customer service to guide you painlessly through the process. 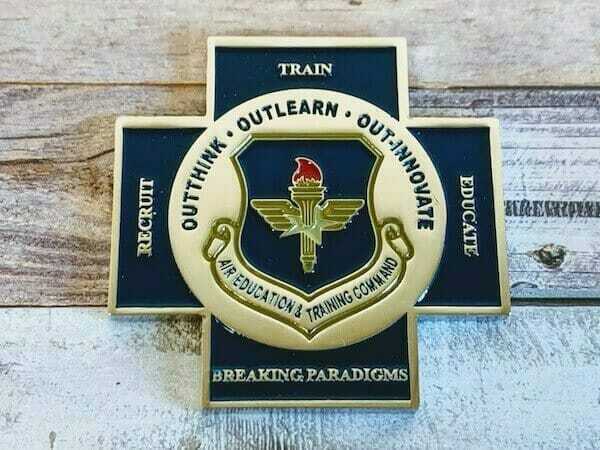 With us, creating your firefighter coins is a fun and easy experience. There are a couple of things to consider as you get started that will help the design process go quickly and smoothly! 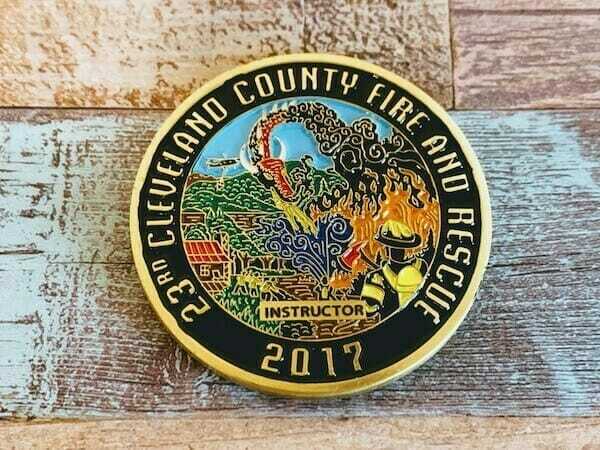 First, be sure you consider the use of your firefighter coins. Your design decisions should be made with this audience in mind. Next, consider the number of coins you will need. Depending on the audience and quantity, we can help you make the most economical choices that will give you the perfect finished product. Once these things have been considered, you can begin deciding on materials, shapes, sizes and more! We work most often with bronze and brass as they great for showcasing intricate details and 2-dimensional designs. We also use casting to create 3-dimensional designs that are very cost effective and lightweight. 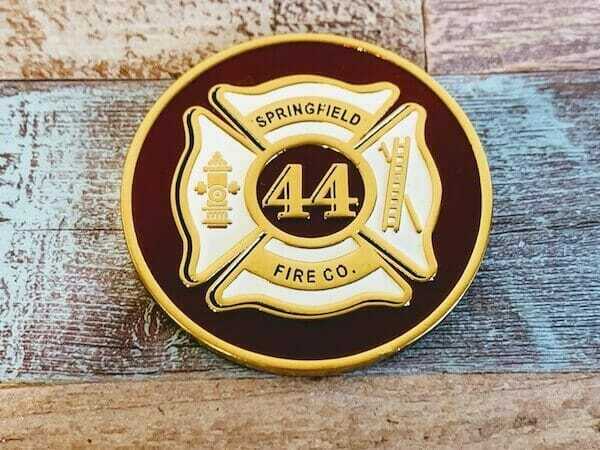 Our custom firefighter coins can be plated in gold, silver, bronze, or true black using soft and hard enamel. Depending on your design, your coin may call for either a bold shiny finish or a timeless antique finish. Both of these finishes adds a dramatic effect to your coin. We most often use copper, bronze, and silver for a classic vintage feel. For shiny finishes, we can use anything from gold to true black varieties to plate your coin, adding a brilliance that only we at The Monterey Company can achieve. Our options include coloring options. 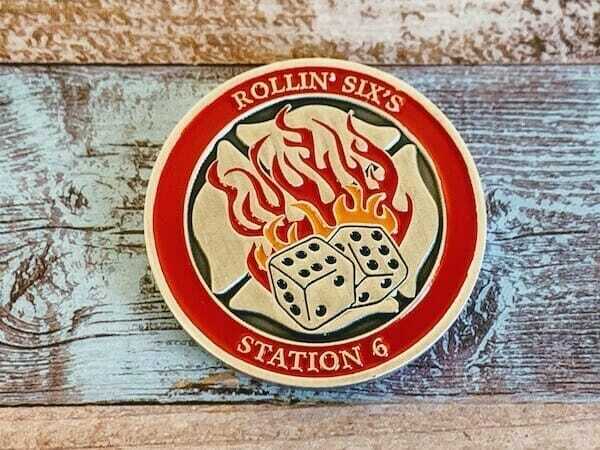 Enamel is used to add color to your firefighter coins, creating vibrant and lively designs that stand out. We use three different enamels to add color to coins - soft enamel, hard enamel, and cloisonne - depending on your desired design we can help you choose the proper enamel. Soft enamel is great for adding unlimited color into almost any design. We often use soft enamel to fill in the recessed ridges of your design to give it a raised appearance. 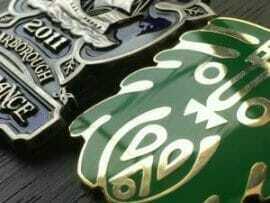 Hard enamel what we use to add the highest quality color to your coin design, as we can add color directly to your logo. Hard enamel creates a much more durable product. 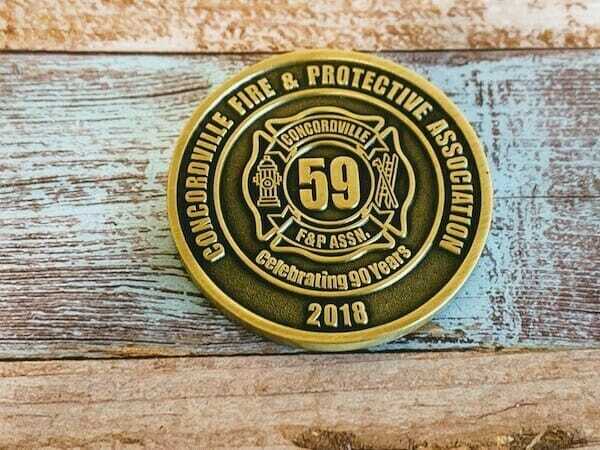 Firefighter coins with epoxy finishes appear to have a glass-like coating that creates a strong protective layer to help preserve your coin. Epoxy finishes help prevent scratches or fading of your coin over time and can be added to any soft enamel coin. 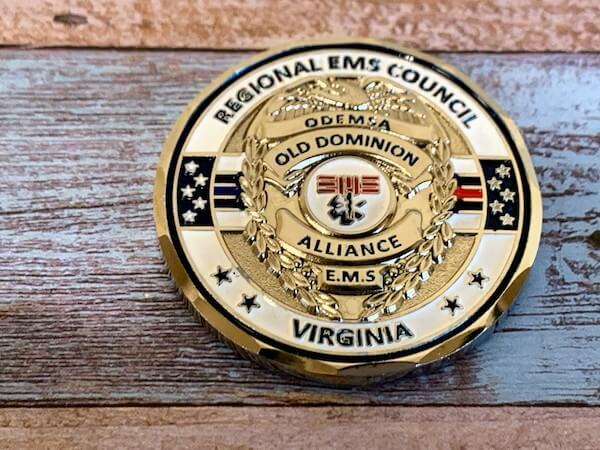 As leading fire department coin maker, with over 30 years of experience, we can offer endless opportunity for coin size and shape. Our most popular designs are of the round and variety, from 1.5 to 2 inches. 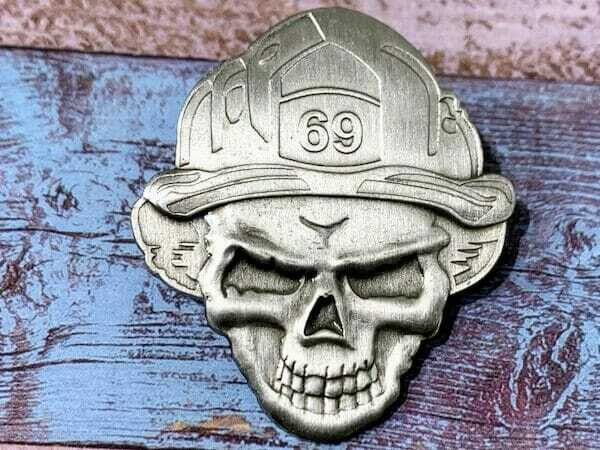 Another popular option is to have your firefighter coins follow the outline of your design, for a custom shaped edge. If you are looking for inspiration, be sure and check out our Custom Coin Gallery to see some of the creative designs we have made in the past. Once you have an idea of the direction you want to go, one of our artists can work with you to get a design proof sent your way within a matter of days! Adding texture to coins is one of the best ways to add dimension and detail to custom designs. We offer a variety of textures that can be used to achieve amazing images that make a statement. Especially for coins of the 2-dimensional variety, texturing is a cost-effective way to add a unique charm to your design. Creating contrast is one of the key factors in coin design, and texture is one of the best ways to do just that - the texture is what brings your design to life! For a more economical option, 2-dimensional coins are created with two layers work perfectly for designs that feature silhouettes and text. They are thinner and lighter and can be paired together with enameling and texturing to create a dynamic design with a beautiful finish. 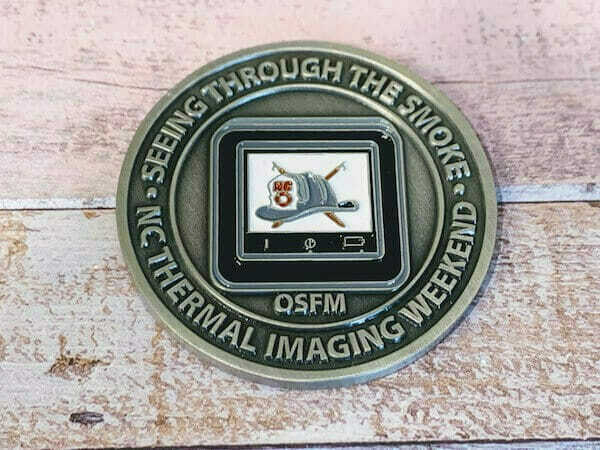 Our 3-dimensional firefighter coins are best used to depict more detail for designs that include nature or people - as they can achieve a sculpted look that can’t be matched by a 2-dimensional coin. Depending on your design you will want to decide between these two varieties, and our expert staff can help you find the perfect balance so that you don’t have to sacrifice quality. 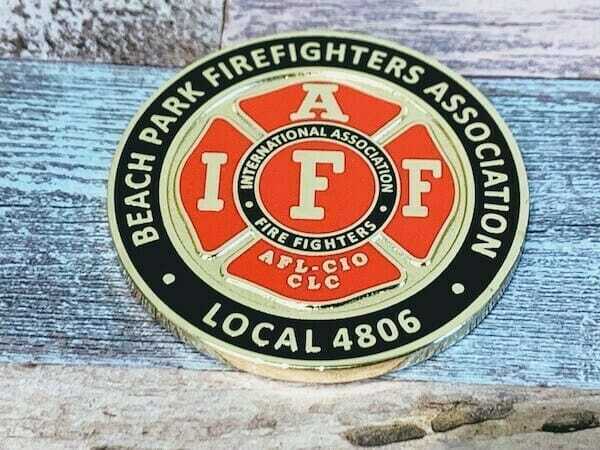 Engraved Coins: For those of you who want to track your firefighter coins using numbers, engraving is a great option. Engraving can also be used to add fine detail to designs that need some extra flair, but don’t necessarily want to use a die-striking technique. We also offer rim marking - or engraving the edges of your firefighter coin. Coins with Cut Edges: For an extra special touch, you can even customize the texture of the edges of your coin. We can create diamond cuts, wave cuts, and rope edges.